Muslims gathered at the Christchurch Mosques in New Zealand in preparation for the congregational prayer like they do every Friday. 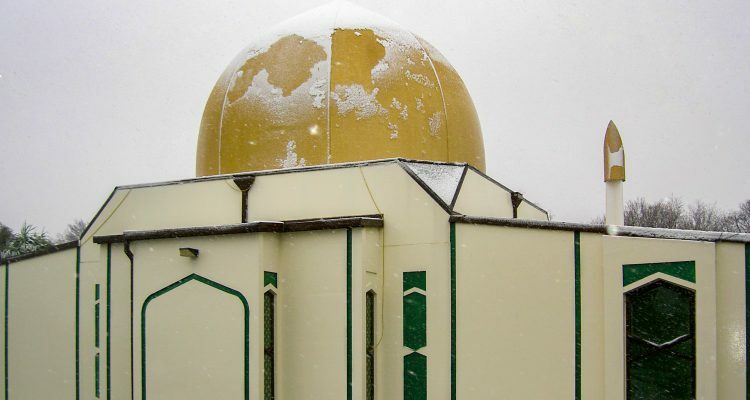 Moments before the prayer could start on March 15, 2019, a white man – who’s name is not being released to the public – approached the mosque with a semi-automatic rifle in his possession, with the intention of killing everyone inside. “Hello, Brother” was how he was greeted by his first victim. He proceeded to shoot everyone including men, women and children. He then moved on to another nearby mosque where a second shooting occurred. At least 50 people were killed in both of these shootings. The man has been taken into custody and is being charged with murder. The man was seen smiling and using a white supremacy hand sign in court to show that he was proud of himself for the terrible actions he had taken. This situation begs many questions: Why would someone do this? What could lead someone to do something like this and be proud of it? More conservative members of the media has been saying that the shooter was a “curly-haired” and “angelic-boy” who was bullied, but his use of violent video games led him astray. Contrary to what the media has been spinning, video games and being a victim of bullying do not create murderers; hate creates murderers. Jan Fran, a journalist for The Feed, said, “It’s easy for us to say that Muslims come from an inferior culture, a violent religion, a broken society, that they’re full of hate. But we can’t quite say that about the white ones, because to do so would be to say we’re just the same.” It is hard for white conservative media outlets to admit that white terrorism exists because it would be contradicting everything that they have trained themselves to believe. The Christchurch shooter’s goal was to scare Muslims enough to leave New Zealand because he felt like they didn’t belong there. This makes him a terrorist. He documented his hate in a 72 page manifesto where he admits that he moved to New Zealand for the purpose of preparing and training to do the attacks. In the manifesto, he also says that he saw Trump as “a symbol of renewed white identity and common purpose.” This led to some people believing that Trump inspired the attack, but I don’t think this is true. Trump is someone who has tried to limit the immigration of Muslims into America because he believes that his race is supreme. This belief of white supremacy is what motivated the shooter, not Trump. Trump is another example of the outcome of white supremacy, but he is not the sole reason for the shootings. Trevor Noah, the host of The Daily Show, makes an amazing analogy between Trump and climate change to illustrate this effect, which is that you cannot blame any single storm on climate change, but you have to admit that “climate change has an effect on increasing the probability of the storms.” I think this is the best way to put it,as Trump had nothing to do with the attacks directly, but his hatred of Muslim countries and immigrants has made it more acceptable for people to be vocal about the groups they hate. The people of New Zealand showed their unity by having a nationwide moment of silence so that the call to prayer and the prayer could be completed the following Friday. Non-Muslim women wore Hijabs, and thousands of people attended funerals, guarded the Mosques and mourned together. New Zealand banned the video taken by the shooter, the manifesto, and all military style semi-automatics and assault rifles. The support and togetherness of New Zealand after the attacks shines a light on “one of New Zealand’s darkest days,” as stated by the Prime Minister Jacinda Ardern. “Hold firmly to the rope of God all together and do not become divided. And remember the favor of God upon you – when you were enemies and He brought your hearts together and you became, by His favor, brothers” (Qur’an 3:103). Hello! My name is Zahra Kallo. I was born in Atlanta, GA and raised in Bridgeport, CT. I am currently a junior at Fairfield University majoring in Communication with minors in Marketing and Health Studies. I am interested in politics and society. I also enjoy reading and being around my family!